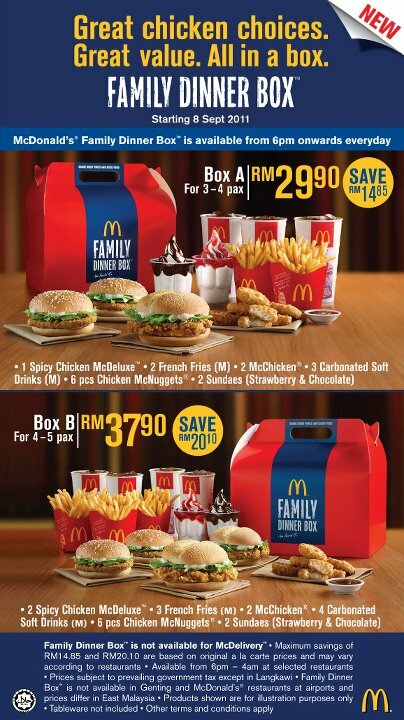 Mcdonald's Malaysia Family Dinner box starting 8Sept is available from 6pm onwards everyday! Great value. All in a box. 2 Sundaes ( Strawberry & Choc ) if u dislike strawberry can chg 2 choc! 2Sundaes ( Strawberry & Choc ) if u dislike strawberry can chg 2 choc!